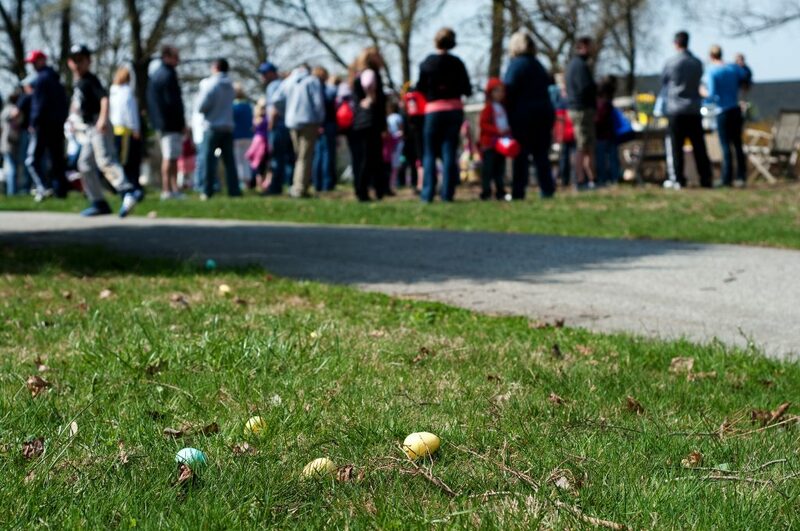 This is a story about an epic Easter egg hunt. This is a story about easy, life-giving hospitality. This week on the Out of the Ordinary podcast, Lisa-Jo and Christie describe in uproarious detail their most favorite, shared annual event. Here are all the practical instructions on the easiest way to host the most people at your home. Easter hasn't happened yet. There's still time! Or maybe just listen and dream for next year. Whether you're an introvert or an extrovert, whether you live in a farmhouse or an apartment, hospitality can be fun and easy. Listener invitation: Do you have a fun, favorite way to practice hospitality? Something that's easy to repeat year after year? Tag Lisa-Jo @lisajobaker and Christie @christiepurifoy or use the hashtag #outoftheordinarypodcast and tell us all about it! Learn more about Sunny Bunny Easter Eggs here. Make your own invitation on Canva here. You & your hubby have a great way to show hospitality. It is also a nice way to meet your neighbors. You are building a good community for your kids & family. What a way to celebrate not just Easter, but spring & the new life blooming around you. My hubby & I are both kind of introverts & don’t do hospitality well. Being around people can sometimes drain us. It has to do with our jobs-both very stressful & people oriented. We enjoy time alone. I love small group get togethers. Love getting to know a few people well & bonding with them. Large crowds are not my thing & don;t like living in big cities. I am more the rural country gal living far from others. Thank you for opening up your home & sharing God’s love with others. Your children are blessed to have fun loving parents like you both! My pastor & his wife have a tradition of having people over for Easter, Thanksgiving or Christmas dinner. It is a pot luck where all invited bring a dish to share. We all talk & enjoy time together, then we get to take some food home. It is a great way for them to share the house God has finally blessed them with.